There, he had the thrill of finding his house intact. But some a half-block away were laid to waste, as were dozens more, and virtually everything on the landscape around the community had been turned to ash. The community where Kelly and his wife have lived for 28 years and raised two children was among the hardest hit by the so-called Woolsey fire that broke out Thursday, destroying at least 177 homes and leaving two people dead. That number will likely rise, and firefighters do not expect full containment until Nov. 17. 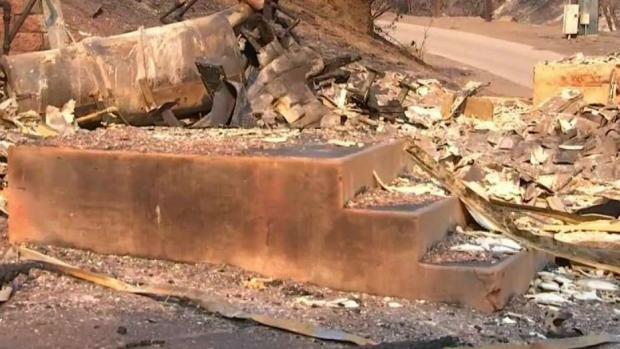 Video shows the destruction left behind by the Woolsey Fire in the Bell Canyon area of eastern Ventura County. Video is from Saturday Nov. 10, 2018. The lull allowed firefighters to gain 15-percent containment of the Woolsey fire, which has burned more than 130 square miles in western Los Angeles County and southeastern Ventura County since Thursday. 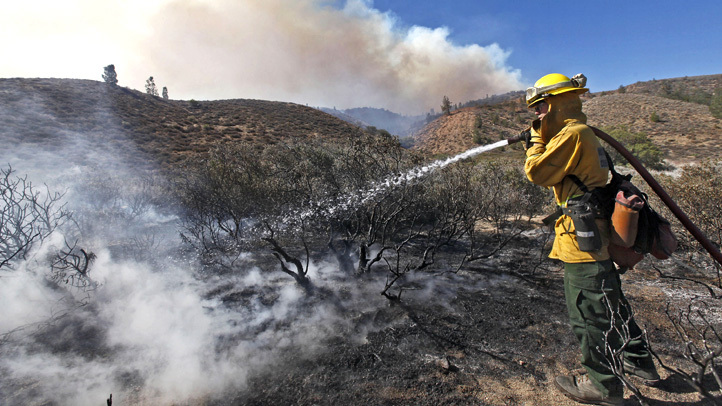 Ventura County Fire Chief Mark Lorenzen hadn't heard about the Edison report. "It wouldn't surprise me" if it turns out that winds caused equipment failure that sparked a fire, he said. 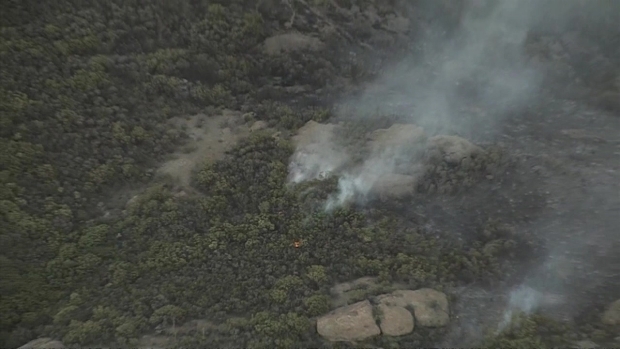 Progress was made on the lines of smaller fire to the west in Ventura County, which was 70 percent contained at about 7 square miles, and evacuations were greatly reduced. 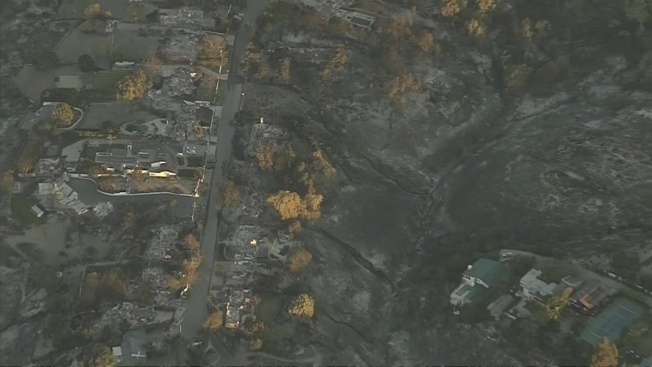 But thousands remained under evacuation orders due to the Woolsey fire. 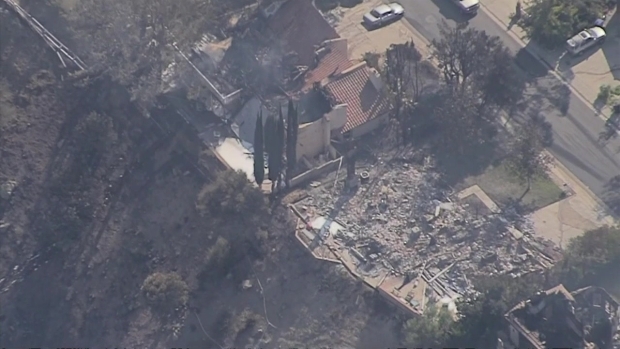 Camp Hess Kramer and Camp Hilltop in the Malibu Hills were largely destroyed by the Woolsey Fire. Joel Grover reports for NBC4 News Nov. 11, 2018.